The family of a man who died in a crash that left his teenage brother seriously injured have paid tribute to the "loving father". 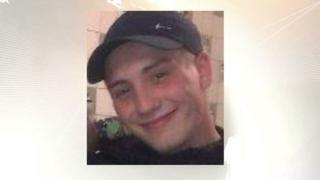 He has been named by police as Kieron Ford, 21, who was killed when the VW Golf he was driving hit a tree in Bloxwich, Walsall. His 17-year-old brother, a passenger, suffered serious internal injuries and multiple fractures. Police said they believed no other vehicles were involved. The crash happened on Ingram Road at about 23:30 BST on Friday 20 October. Police have not confirmed the name of the injured teenager whose condition in hospital is described as stable. In a statement released by the West Midlands force, the motorist's family said they were "devastated to have lost a loving father, son, brother and grandson in such tragic circumstances". Police said they were working "to explain exactly what happened and led the vehicle to leave the road".